During Sunday’s Super Bowl, millions of eyes will be glued to television screens watching Katy Perry and Lenny Kravitz perform during the halftime show. But YouTube is making a play for some of those eyes with its own, live streaming halftime show, featuring some of the biggest names online. The live stream, the company said on its blog, will include more than 20 YouTube stars. The show will entertain viewers with fake Super Bowl ads, musical numbers and stunts, according to Bloomberg. 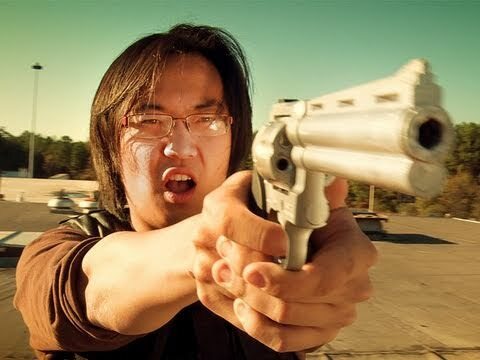 Among the stars recruited by YouTube is Freddie Wong, the man behind the hit show “Video Game High School,” (VGHS) which Variety named as the best web series of 2013. Wong co-founded RocketJump, the production company that makes the series. RocketJump has clocked more than 1 billion views and 7 million subscribers through its YouTube channel. VGHS is also available through Netflix. Forbes recently named Wong as one of Hollywood & Entertainment’s 30 Under 30, joining the ranks of Blake Lively, Zac Efron, Keira Knightley and Emma Watson. Another honoree from the publication’s list, Harley Morenstein, co-founder of web show EpicMealTime, will host the YouTube halftime show. Just last week, Hulu announced that it will team up with Lionsgate, Wong, and the rest of his team for an original comedy series. The weekly 30-minute shows will give a behind-the-scenes look into the creation of a RocketJump video. While the release date has yet to be announced, curious fans will just have to catch Wong online during the Super Bowl for now.